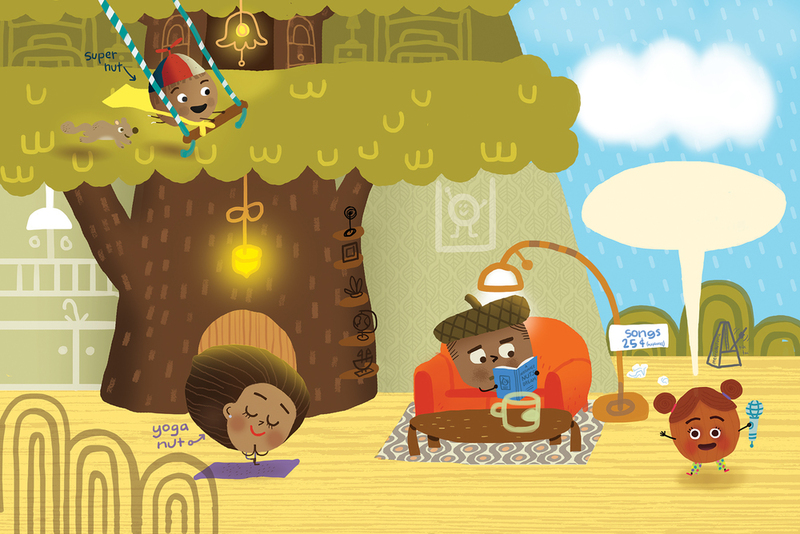 Hazel Nut wants her family to sing and dance along with her, but they are just too busy! Who can she call? Why...her super-hip, disco-dancing Grandma Nut! The second book of the Nuts series. The nuts hit the dance floor! 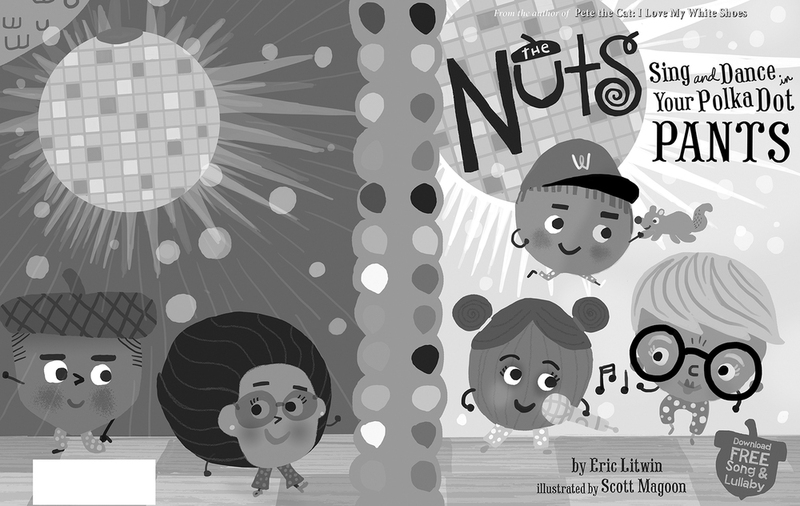 In my second book with Eric Litwin (Pete the Cat: I Love My White Shoes) Little Hazel Nut would love to sing and dance with her family—but they're busy, busy, busy. Oh, no! There is one Nut family member though who answers the call—groovy Grandma Nut! Once Hazel and Grandma put the needle on the record an epic Nut Family dance party ensues and the Nuts are together again. 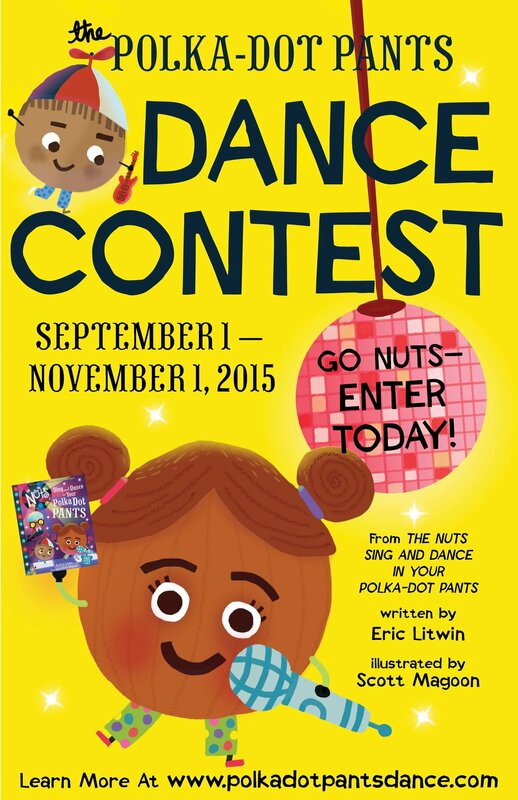 Run—don't moonwalk—to your nearest bookseller/library and get your tiny dancers a copy today. You can read more about the Nut family at their very own website. Also, be sure to check out the other books in this three-book series, Bedtime at the Nuthouse and The Nuts Keep Rolling. 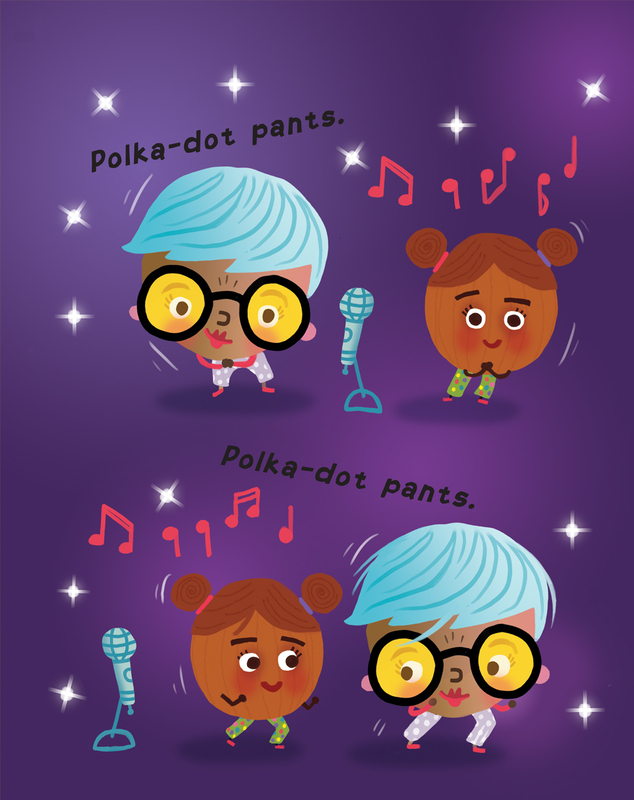 THE NUTS: Sing and Dance in Your Polka Dot Pants, published by Little, Brown Books for Young Readers is available as a totally rocking interactive eBook version as well, only at the Apple iBooks store for use on your iPad, iPhone or Mac. 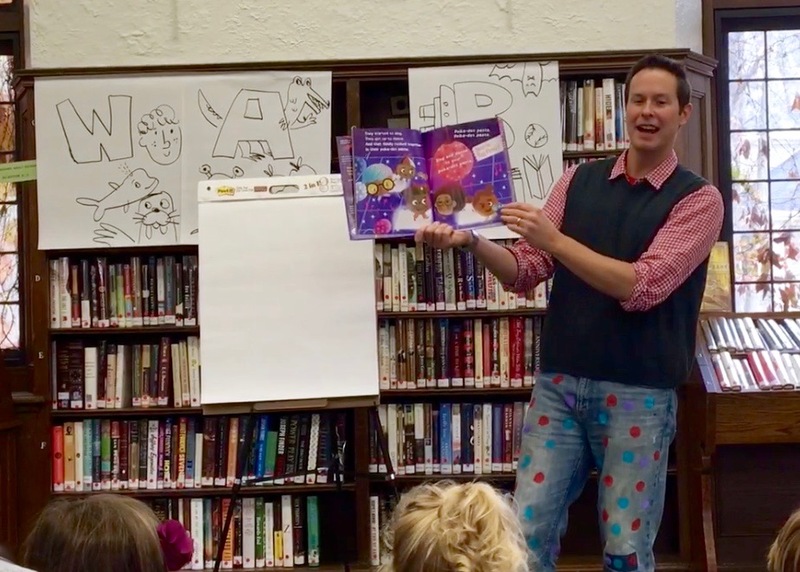 To help get everyone excited for our book together, author Eric Litwin created the Polka Dot Pants Dance contest. The response was overwhelming—over 20,000 kids sang and danced in their Polka Dot Pants to win a free school visit from Eric Litwin....wow! We signed this poster and sent it to all of the 80 schools that participated. The Polka-Dot Pants Dance Finalists and Grand Prize Winner. Polka Dot Pants Dance craze is sweeping the nation! Here's one of 80 videos created to celebrate the Polka Dot Pants Dance contest...if you look carefully you might spot me in this one. Here are some sketches I created while working on Sing and Dance in your Polka Dot Pants. I was originally thinking of a bit of business showing the Nuts' basement filling up with bubbles from the washing machine—but we decided to simplify for the final. We wanted a hip looking grandma and so I came up with a few variations, shown here. Which is your favorite? 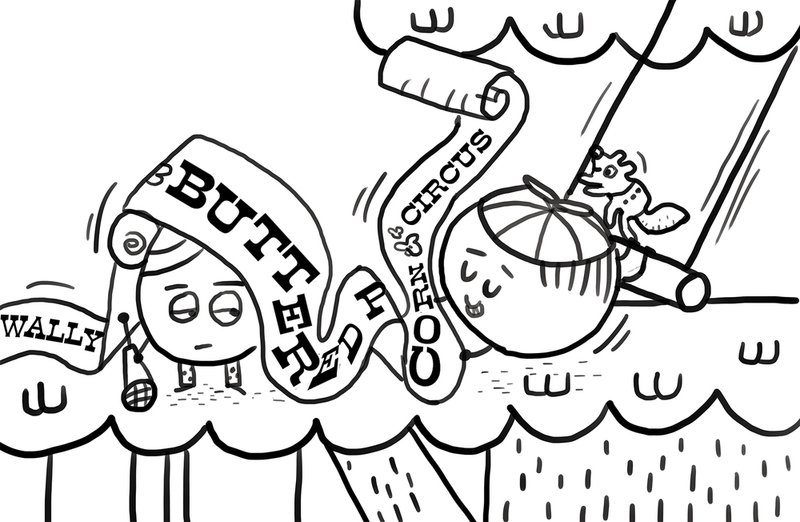 Here are two bits of business that were dropped from the final book—circus theme for Wally and some laundry machine on the fritz for Mama and Papa nut. Here's a cover sketch I did before I completed the interior art.